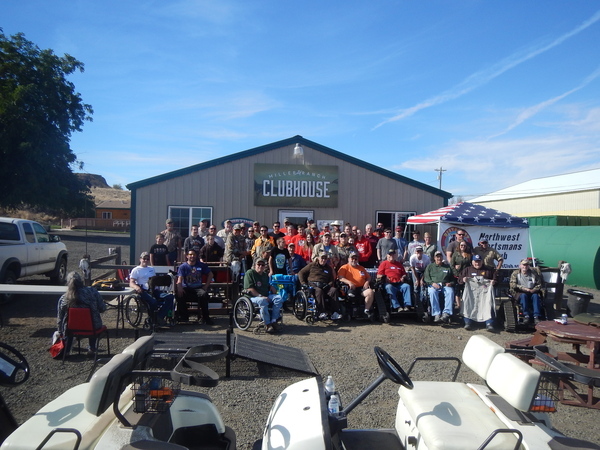 Thank you to everyone that came out and supported our annual Disabled Sportsman's Shoot. Once again it was a very successful morning for everyone involved. A Special Thank you to the following businesses for continuing to support our event. Northwest Golf Cart, Sportsman's Warehouse, Dave's Bar & Grill, The Spokane Rifle team and Miller Ranch. All the volunteers and the participants with their families, truly enjoyed this fulfilling event. A big thank you to NWSC life member Rob Allen for coordinating all of it.